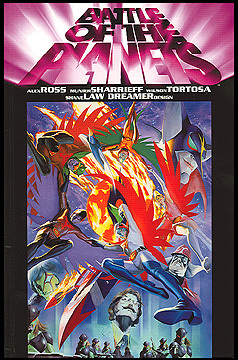 Information: This squarebound book reprinted issues 1 - 3 of the regular Battle of the Planets series comic at full-size, in addition to various cover reprints. Art by Wilson Tortosa, story by Munier Sharrieff. Full color.